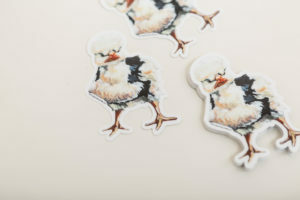 These vinyl stickers are made to go anywhere! Waterproof, weatherproof, and dishwasher safe! Stick 'em to your car, water bottle, journal, or long board to add a bit of whimsy or attitude!